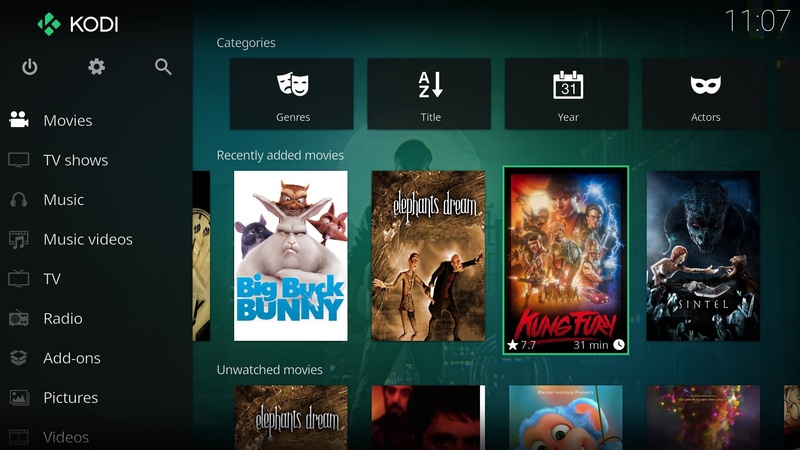 Kodi (formerly known as XBMC) is an award-winning free and open source (GPL) software media center for playing videos, music, pictures, games, and more. Kodi runs on Linux, OS X, Windows, iOS, and Android, featuring a 10-foot user interface for use with televisions and remote controls. It allows users to play and view most videos, music, podcasts, and other digital media files from local and network storage media and the internet, including TV shows, PVR and Live TV. Kodi also features Add-ons, Skins, UPnP compatibility, Web Interfaces, Remote Controls support and a lot more. The Kodi project is managed by the non-profit XBMC Foundation, and developed by volunteers located around the world. Just installed and it works well.